WMTW-TV reports they plan to be there for each other's deliveries. 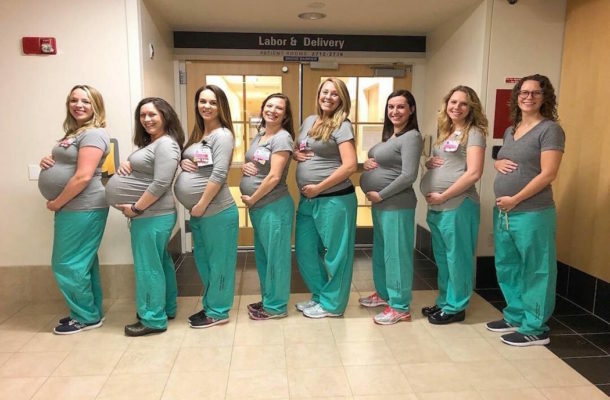 "I don't think it hit home until we took a picture and it was on social media and we were getting all this attention," Registered Nurse Lonnie Soucie said. "And then it was like, 'Whoa, you weren't kidding!'"